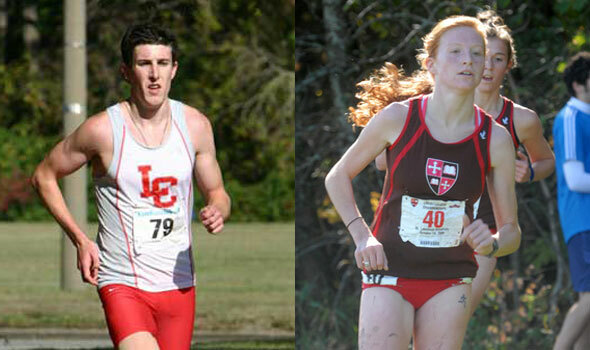 CLEVELAND – St. Lawrence’s Wendy Pavlus and Lynchburg’s Ricky Flynn have been named the U.S. Track & Field and Cross Country Coaches Associations Division III Cross Country National Athletes of the Year, announced on Saturday following the conclusion of the NCAA Division III Cross Country National Championships. The National Athlete of the Year honors are awarded to the winners of the men’s and women’s races and presented by the USTFCCCA. Pavlus earned her first career NCAA cross country title after finishing 20th at the 2008 national meet. Her time of 21:28 was nearly 20 seconds better than Bethel’s Marie Borner, last year’s NCAA Champion. Pavlus’ win helped the Saints to a second place finish in the team standings, which was the best finish in school history for St. Lawrence. Lynchburg’s Flynn also earned his first NCAA cross country title, winning the men’s competition in a course-record 25:09.08 besting runner-up Michael Spain of North Central by over 20 seconds. In the 2008 national meet Flynn finished 14th overall. Lynchburg made its first trip to the NCAA meet since 1993 earning the NCAA appearance by finishing second at the South/Southeast Regional. Flynn, the South/Southeast Region Athlete of the Year won the region title in 26:10 over the eight-kilometer course.